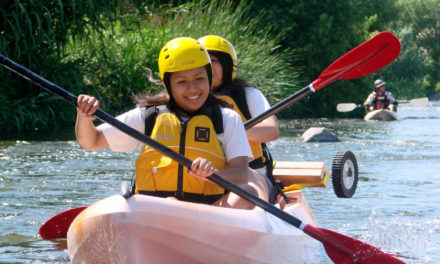 The Los Angeles River Recreation Program takes place during the summer months when adverse weather and water flow conditions are least likely to occur. However, unexpected or sudden events such as thunderstorms and flash floods can occur without notice. 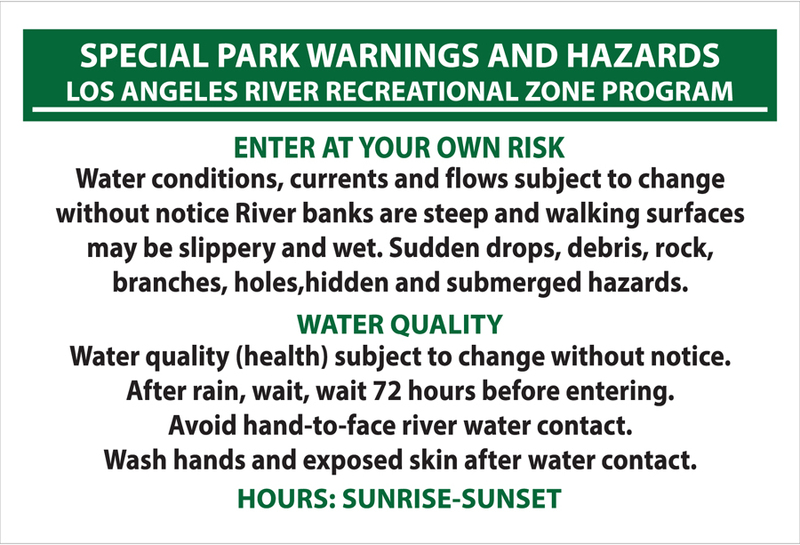 The public will be required to exit the Program area boundaries when a National Weather Service flood watch or warning has been issued for the Los Angeles River Watershed from upstream water sources, or a small stream or thunderstorm watch has been issued. 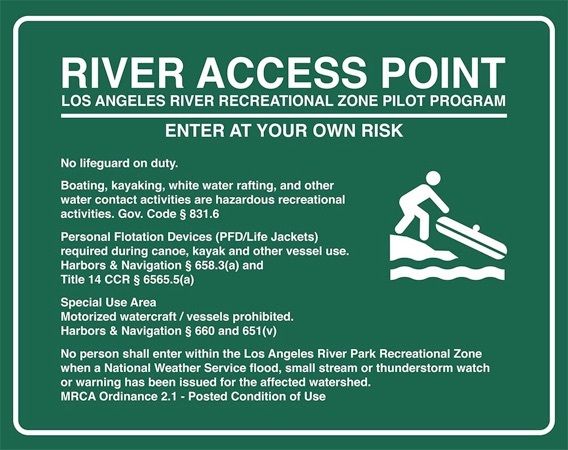 In any of these events, boaters will be directed to specific entry and exit points. 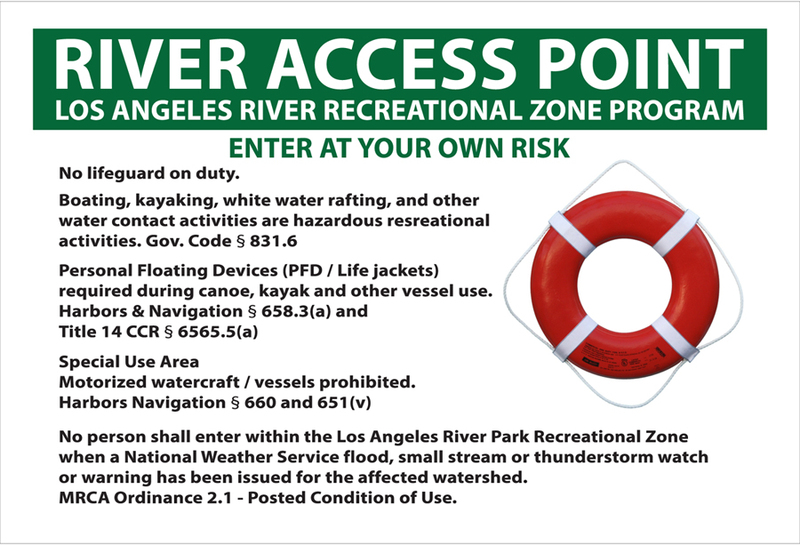 In an emergency, boaters will be permitted to exit through the program area as necessary. 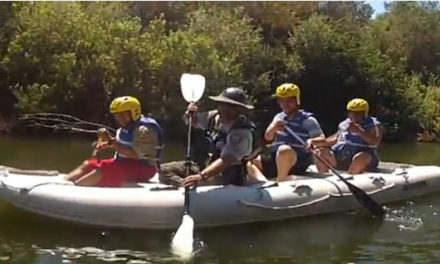 Participants should wear Coast Guard approved personal flotation devices and protective whitewater helmets. Coast Guard regulations will be enforced regarding the carrying and wearing of personal flotation devises. 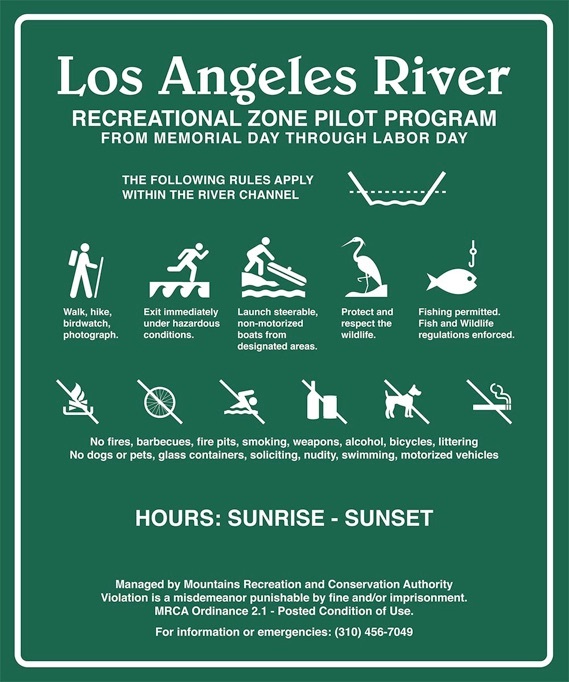 Participants should carry rescue throw ropes and trail marking tape, and must comply with all Coast Guard and Harbors and Navigation Code regulations. 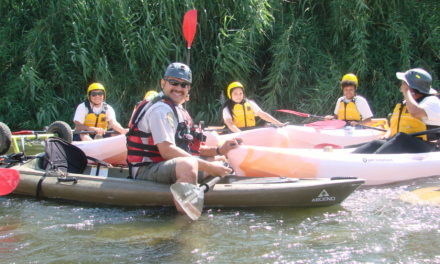 Participants shall comply with river evacuation protocols and must check spot weather prior to the start of the trip. 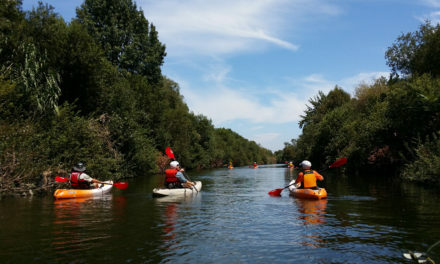 Participants should wear appropriate river footwear and clothing. Participants should use the “buddy system” for safety accountability. Participants should carry at least two Family Radio Service (FRS) radios programmed to transmit and receive FRS channel 4 (462.6375), utilizing Private Line code 4 (77hz) for trip coordination and administrative Park Ranger contacts. Participants should carry at least two cell phones for emergency contact. 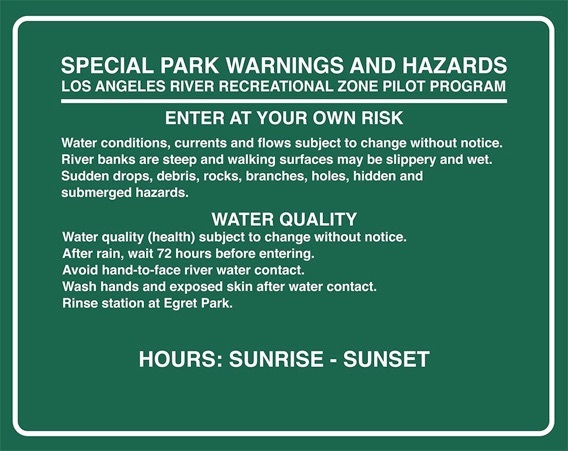 In the event of an emergency contact 911 and Ranger Services at (310) 456-7049 Participants are responsible for complying with directions from park staff, park rules, posted conditions, entry and exit points. Participants shall not enter or travel on river sandbars except at the designated take-out point. 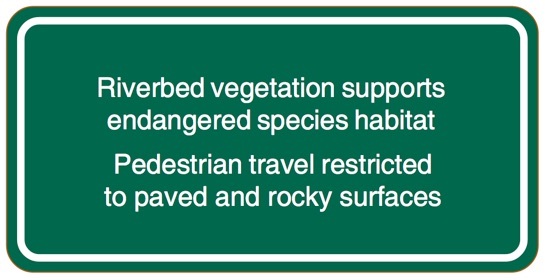 Portages must stay “in water” or utilize the cement riverbank in order to minimize any possible disturbance to birds and wildlife.